Whaler’s Place is a 75 unit, residential housing project for moderate and low income families. The project involved the historic restoration of a building within the Whitman Mill Complex, which is also home to Whaler’s Cove. The National Park Service and the Massachusetts Historical Commission both recognized the quality of this historic restoration project. 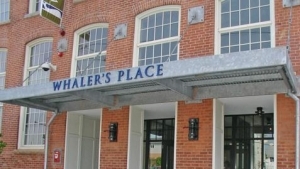 Whaler’s Place has many amenities, including on site management provided by New Era, a computer center, billiards room, a cafe’, laundry, community room, fitness center and dry cleaning services. The property was successfully leased up in its first year of operation and has remained close to 100% occupancy every year since.